According to Bloomberg’s report, Hewlett-Packard, one of the largest computer makers worldwide, is going to announce plans to spin off its personal computer business in order to focus on cloud-based services and software. The computer maker confirmed that its board of directors has authorized the decision of partial or full separation of its Personal Systems Group (PSG) from the company by means of spin-off or other transaction. The announcement about spin off is planned to be made later today after the company publishes its quarterly financial results. "Сhief Executive Officer Leo Apotheker has said he wants to expand in software and services that help customers deliver computing over the Internet, through the so-called cloud. Hewlett-Packard has been aiming to lessen its dependence on lower-margin PCs, where growth has stalled as consumers flock to tablet-style computers like those made by Apple Inc. (AAPL)". HP has only recently entered the mobile market after it bought Palm in April 2010 for $1.2 billion. 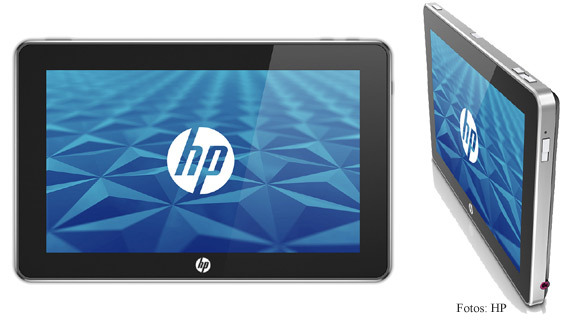 HP released several webOS-based smartphone and just last month officially pushed out its TouchPad tablet. TouchPad was said to be the main competitor of iPad, but its sales reportedly were low. Also the PC growth stagnated over the past several years due to recession in the global economy. As The Wall Street Journal writes, citing sources familiar with the matter, HP intends to acquire U.K. software company Autonomy Corp. for $10 billion. Also it reports that HP will exit the smartphone and tablet hardware business, but it will keep the webOS software business and supposedly will license it out to third parties. This separation of personal computer business in HP could open up new opportunities for Apple to grow Mac sales.